When it comes to healthy eating, new parents have the best of intentions, but not always the best follow through. After a long day, dinner often means takeout, frozen food, or a handful of pretzels. And that meal-kit you signed up for? It involves too much… um,cooking. 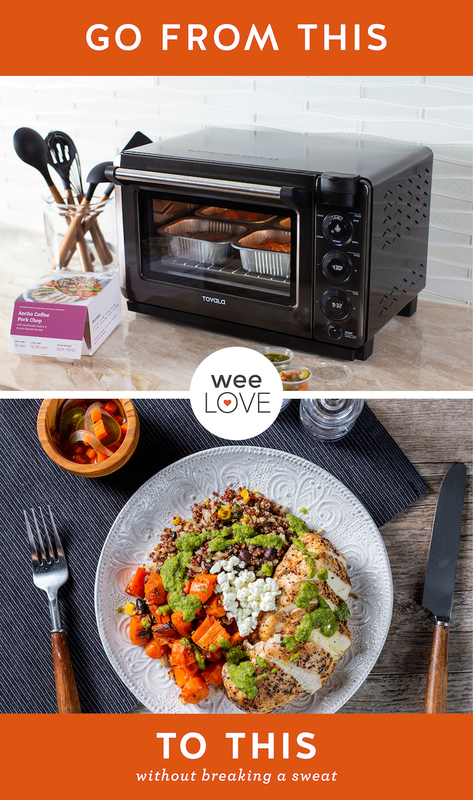 Tovala, a smart steam oven, makes it easier than ever to get delicious dinner on the table—no prep, cooking, or cleanup. This sleek appliance is a countertop staple that pairs with a fresh meal delivery service. Meals are prepared by Tovala’s chefs and delivered to your door. 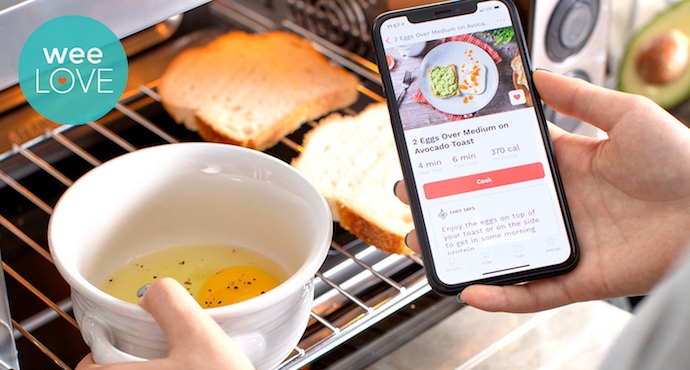 To get cooking, simply use their app to scan the meal’s barcode. Then the oven works its magic to steam, bake, and broil your meal perfectly while you have time to Google things like “sleep regressions” or fold (endless) laundry. From Thai turkey meatballs, to Spanish cod, grain bowls to Cajun chicken jambalaya, meals are made with premium ingredients (nothing artificial). There are plenty of gluten-free, vegetarian, and high-protein options to enjoy. You can also use the app to cook your own recipes. Plus, all of the packaging is 100% recyclable. The best part? A delicious, healthy meal you didn’t have to prep is ready in under 20 minutes.